This series on the History of Rotary is a reproduced from a series of posts on Rotary Club of Bandar Sungai Petani's Facebook page from 9th to 23rd February 2014, which is the anniversary of Rotary. Back in 1932 I was assigned, by the Creditors of the Club Aluminum Company, the task of saving the company from being closed out as a bankrupt organization. The company was a distributor of cookware and other household items. We found that the company owed its creditors over $400,000 more than its total assets. It was bankrupt but still alive. While we had a good product our competitors also had fine cookware with well-advertised brand names. Our company also had some fine people working for it, but out competitors also had the same. Our competitors were naturally in much stronger financial condition than we were. With tremendous obstacles and handicaps facing us we felt that we must develop in our organization something which our competitors would not have in equal amount. We decided that it should be the character, dependability and service mindedness of our personnel and, second to help them become better men and women as they progressed with out company. We believed that "In right there is might" and we determined to do our best to always be right. Our industry as was true of scores of other industries, had a code of ethics - but the code was long, almost impossible to memorized and therefor impractical. We felt that we need a simple measuring stick of ethics which everyone in the company could quickly memorize. We also believed that the proposed test should not tell our people what they must do, but ask them questions which would make it possible for them to find out whether their proposed plans, policies, statements or actions were right or wrong. 3. Does it promote GOODWILL AND BETTER FRIENDSHIPS? I placed this little test under the glass top of my desk and determined to try it out for a few days before talking to anyone else in the company about it. I had a very discouraging experience. I almost threw it into the wastepaper basket the first day when I checked everything that passed over my desk with the first question, "Is it the truth?" I never realized before how far I often was from the truth and how many un-truths appeared in our company's literature, letters and advertising. After about sixty days of faithful constant effort on my part to live up to the 4-Way Test I was thoroughly sold on its great worth and at the same time greatly humiliated, and at times discouraged, with my own performance as president of the company. I had, however, made sufficient progress in living up to the 4-Way Test to feel qualified to talk to some of my associates about it. I discussed it with my four department heads. You may be interested in knowing the religious faith of these four men. One was a Roman Catholic, the second a Christian Scientist, the third an Orthodox Jew and the fourth a Presbyterian. I asked each man whether or not there was anything in the 4-Way Test which was contrary to the doctrines and ideals of his particular faith. They all four agreed that truth, justice, friendliness and helpfulness not only coincided with their religious ideals, but that if constantly applied in business they should result in greater success and progress. These four men agreed to use the 4-Way Test in checking proposed plans, policies, statements and advertising of the company. Later, all employees were asked to memorized and use the 4-Way Test in their relations with others. The checking of advertising copy against the 4-Way Test resulted in the elimination of statements the truth of which could not be proved. All superlatives such as the words better, best, greatest, and finest disappeared from our advertisements. As a result, the public gradually placed more confidence in what was stated in our advertisements and bought more of our products. The constant use of the 4-Way Test caused us to change our policies covering relations with competitors. We eliminated all adverse or detrimental comments on our competitors' products from our advertisements and literature. When we found an opportunity to speak well of our competitors we did so. This we gained the confidence and friendship of our competitors. The application of the 4-Way Test to our relations with out own personnel and that of our suppliers and customers helped us to win their friendship and goodwill. We have learned that the friendship and confidence of those with whom we associate is essential to permanent success in business. Through over twenty years of sincere effort on the part of our personnel, we have been making steady progress toward reaching the ideals expressed in the 4-Way Test. We have been regarded with a steady increase in sales, profits and earnings of our personnel. From a bankrupt condition in 1932 our company within a period of twenty years had paid its debts in full, had paid its stockholders over one-million dollars in dividends and had a value of over two-million dollars. All of these regards have come from a cash investment of only $6,100, the 4-Way Test and some good hard working people who have faith in God and high ideals. Intangible dividends from the use of the 4-Way Test have been even greater than the financial ones. We have enjoyed a constant increase in the goodwill, friendship and confidence of our customers, our competitors and the public - and what is even more valuable, a great improvement in the moral character of our own personnel. We have found that you cannot constantly apply the 4-Way Test to all your relations with others eight hours each day in business without getting into the habit of doing it in your home, social and community life. You thus become a better parent, a better friend and a better citizen. Rotary’s official mottoes, “Service Above Self” and “One Profits Most Who Serves Best”, trace back to the early days of the organisation. The Portland Convention also inspired the motto “Service Above Self”. During a convention outing on the Columbia River, Ben Collins, President of the Rotary Club of Minneapolis, Minnesota, USA, talked with Seattle Rotarian J.E. Pinkham about the proper way to organise a Rotary Club, offering the principle his Club had adopted, “Service, Not Self”. Pinkham invited Paul P. Harris, who also was on the boat trip, to join their conversation. Harris asked Collins to address the convention, and the phrase “Service, Not Self” was met with great enthusiasm. At the 1950 RI Convention in Detroit, slightly modified versions of the two slogans were formally approved as the official mottoes of Rotary - “He Profits Most Who Serves Best” and “Service Above Self”. The 1989 Council on Legislation established “Service Above Self” as the principal motto of Rotary, because it best conveys the philosophy of unselfish volunteer service. “He Profits Most Who Serves Best” was modified by the 2004 Council to “They Profit Most Who Serve Best” and by the 2010 Council to its current wording, “One Profits Most Who Serves Best”. Rotary’s Five Avenues of Service are the philosophical and practical framework for the work of a Rotary Club. 2. Vocational Service, the Second Avenue of Service, has the purpose of promoting high ethical standards in businesses and professions, recognising the worthiness of all dignified occupations, and fostering the ideal of service in the pursuit of all vocations. The role of members includes conducting themselves and their businesses in accordance with Rotary’s principles. 5. Youth Service, the Fifth Avenue of Service, recognises the positive change implemented by youth and young adults through leadership development activities, involvement in community and international service projects, and exchange projects that enrich and foster world peace and cultural understanding. 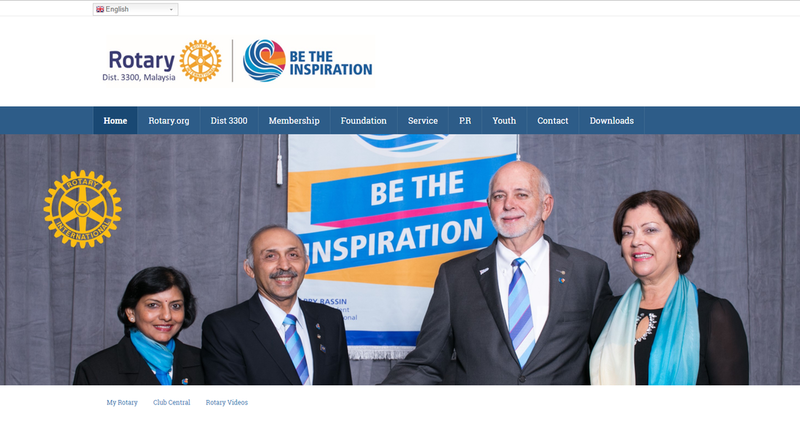 Why does the Rotary Year begin on 1st July?